This Traditional Wooden Office Set with Beautiful Tea Coaster is bound to be the perfect choice for bringing variety to the visual aspect of any Read More..workstation and getting rid of monotonousness while not compromising with its productivity. 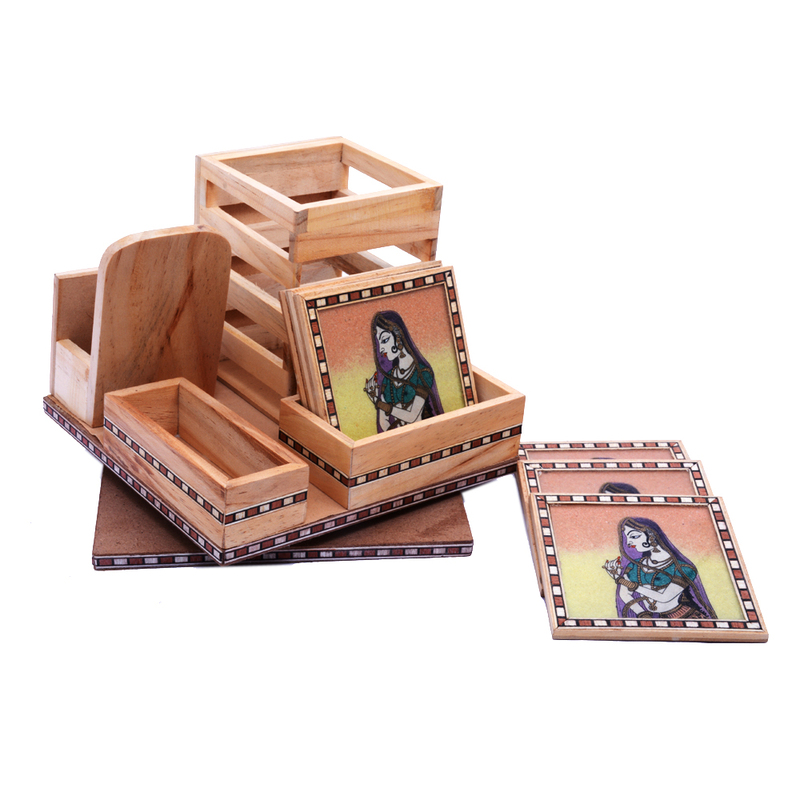 The office set, finely carved in wood, is ideal station for pens and various other office supplies, while the delightfully designed tea coasters carrying ethnic paintings are sure to make the teatime more special. Thus, it can be the best gift to your boss, colleagues, or employees. Show Less..